The following lists the discussion papers and final revised papers published within the last 30 days. Ice nucleation particles (INPs) help ice form at temperatures as high as −4 °C and contribute to the formation of precipitation. Leaf litter contains a high concentration of INPs, but the organisms that produce them are unknown. Here, we cultured two bacteria and one fungus from leaf litter that produce INPs similar to those found in leaf litter. This suggests that leaf litter may be an important habitat of these organisms and supports a role of these organisms as producers of atmospheric INPs. When sponges hold their breath Sponge grounds are known as nutrient sources, providing nitrate and ammonium to the ocean. We found that they also can do the opposite: in 6 species from Arctic and North Atlantic sponge grounds, we measured high rates of denitrification, which remove these nutrients from the sea. Rates were highest when the sponge tissue got low in oxygen, which happens when sponges stop pumping because of stress. Sponge grounds may become nutrient sinks when exposed to stress. A global boom in dam construction throughout the world’s tropics motivated us to review and synthesize information on the water quality impacts of dams with a focus on low-latitude contexts and scope for mitigation. 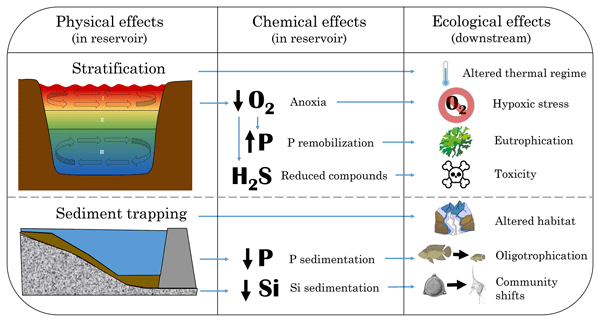 Sediment trapping and reservoir stratification are key process driving chemical and ecological impacts on tropical rivers. We analyze the 54 most-voluminous low-latitude reservoirs and find that stratification seems to be a ubiquitous phenomenon. It is estimated that natural wetlands emit approximately 30% of all the methane released to the atmosphere, yet, these estimates are highly uncertain due to the complexity of biological, chemical and physical processes controlling methane emissions. In this study, we explore how some of these key processes drive methane emissions in a temperate peat bog. We show that the composition of microbial methane cyclers in the upper portion of the peat drives the velocity of methane release to the air. Is Shale Gas a Major Driver of Recent Increase in Global Atmospheric Methane? Atmospheric methane has risen rapidly since 2008, and has become less enriched in 13C, in contrast to the trend towards more 13C enrichment in the late 20th Century. Many have used this isotopic evidence to infer an increased biogenic source since 2008. Here I analyze the 13C trend with consideration that methane from shale gas is depleted in 13C compared to other fossil fuels. I conclude the rise in global methane since 2008 is driven primarily by fossil fuels, with shale gas a major source. Vertical migration of zooplankton has rarely been studied under the effect of a variable community structure which depending on the behavior and size of its groups can strongly alter the magnitude of C being actively taken to depth by migrants. Here, we address this issue in a highly productive upwelling system where a high amount of zooplankton can daily move below the mixed layer despite presence of an extremely low-oxygen water and so contributing to a significant export of C to depth. We investigate whether soil organic compounds preserve information about nitrogen availability to plants. We isolate chlorophyll degradation products in leaves, litter, and soil and explore possible species and climate effects on preservation and interpretation of values. We find that compound-specific nitrogen isotope measurements in soil have potential as a new tool to reconstruct changes in nitrogen cycling on a landscape over time, avoiding issues that have limited other proxies. The Functionally Assembled Terrestrial Ecosystem Simulator (FATES) is enhanced to mimick the ecological, biophysical, and biogeochemical processes following a logging event. The model can specify the timing and aerial extent of logging events, determine the survivorship of cohorts in the disturbed forest, and modifying the biomass, coarse woody debris and litter pools. This study lays the foundation to simulate land use change and forest degradation in FATES. The major microbial process producing N2O in estuarine ecosystems remain controversial. 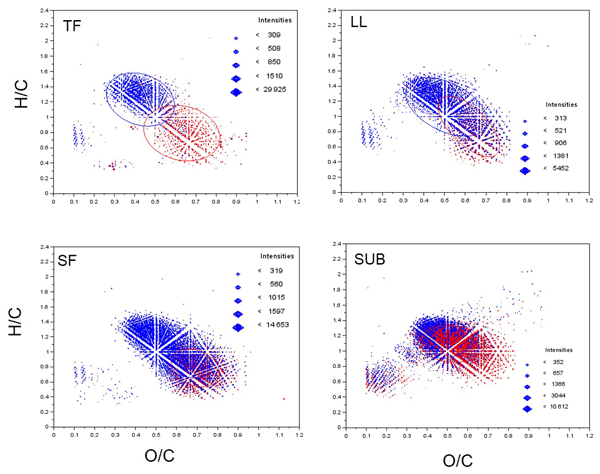 Combining the concentrations and isotopic compositions of N2O, distributions and transcript levels of ammonia-oxidizing bacterial and archaeal amoA and denitrifier nirS genes, and in situ incubation estimates of nitrification rates and N2O production rates, we clarified that ammonia-oxidizing bacteria contributed the major part in N2O production in the upper Pearl River Estuary despite their low abundance. This study focuses on a northwestern European cropland region and shows that the type of crop growing on a soil has notable effects on the emission of nitrous oxide (N2O – a greenhouse gas) from that soil. It was found that N2O emissions from soils under oilseed cultivation are significantly higher than soils under cereal cultivation. 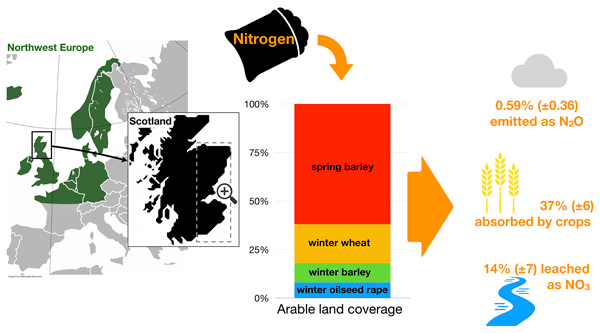 This variation is mostly explained by the fact that oilseeds require more nitrogen (fertiliser) than cereals, especially at early crop growth stages. Cold-water corals were found at active sites in Pompeia Province (Gulf of Cádiz). Since seeped fluids are harmful for the corals, we approached the environmental conditions that allow corals to colonize carbonates while seepage occurs. As a result, we propose that chemosynthetic microorganisms (i.e. sulfide-oxidizing bacteria and AOM-related microorganisms) play an important role in the colonization of the corals at these sites by feeding on the seeped fluids and avoiding coral damage. 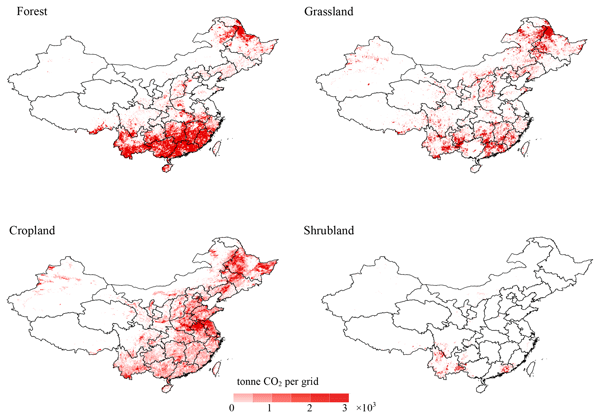 Biomass burning is an important source of trace gases and aerosols in China, with a significant contribution from small-sized crop residue fires. Compared with conventional methods for emission estimation, the approach based on fire radiative energy (FRE) provides a more reasonable estimate for small-fire emissions. By using FRE data derived from satellites, we developed a long-term biomass burning emission inventory for China with a higher resolution (daily, 1 km) than previous studies. We identified prone areas to oxygen loss in a complex marine area with a high probability without knowledge on biogeochemical properties. Sheltered, topographically heterogeneous areas, where water exchange is limited are more susceptible for developing hypoxia. Developed models could boost the performance of numerical models, aid nutrient abatement measures, explain why in some areas abatement actions do not work, and pinpoint areas where management actions are most urgently needed. Beam attenuation at 660 nm and suspended particle matter (SPM) relationships were determined during the MALINA cruise in August 2009 to the Canadian Beaufort Sea in order to expand our knowledge of particle distributions in Arctic shelf seas. The relationship was then used to determine SPM distributions for four other expeditions to the region. SPM patterns on the shelf were explained by an interplay between wind forcing, river discharge, and melting sea ice that controls the circulation. The N transformation rates and N-related functional gene abundance were surveyed in a tropical forest soil with experimental N additions. The C : N ratio was the determinant factor for N transformations in the dry season while the microbial biomass was the one in the wet season. This study also found that high N addition imposed significant positive effects on the functional gene abundance of AOA-amoA and nirK, but negative effects on that of the AOB-amoA and nosZ. Seagrass meadows store carbon in their biomass and sediments, but they have also been shown to be sources of carbon dioxide (CO2) and methane (CH4). We experimentally investigated the effect of warming and prolonged darkness on CO2 and CH4CH4. Our results indicated that sublethal warming may lead to increased emissions of greenhouse gases from seagrass meadows which may contribute to further enhance global warming. N2O concentrations were subject to strong variations accompanying glacial/interglacial but also rapid climate changes over the last 21 kyr. The sources of these N2O changes can be identified by measuring the isotopic composition of N2O in ice cores and using the distinct isotopic composition of terrestrial and marine N2O. 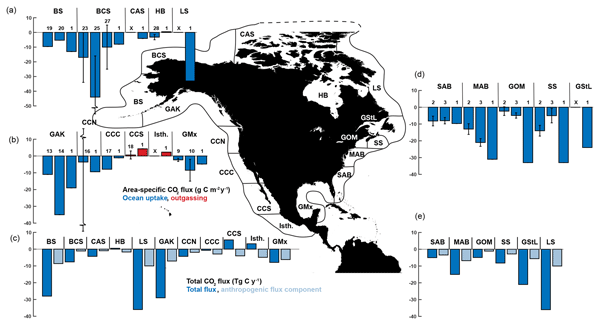 We show that both marine and terrestrial sources increased from the last glacial to the Holocene but that only terrestrial emissions responded quickly to rapid climate changes. Will nitrogen (N) limitation reduce the future land carbon (C) sink? We analyse global land N2O emissions reconstructed from ice core isotope data. These show a large emission increase during past abrupt warming events. Our new data and transient simulations of ecosystem N cycling and global N2O emissions over the past 21,000 years support the view of a dynamic, flexible C-N cycle. Biological N sources will likely adjust to support future land carbon uptake and alleviate N limitation. 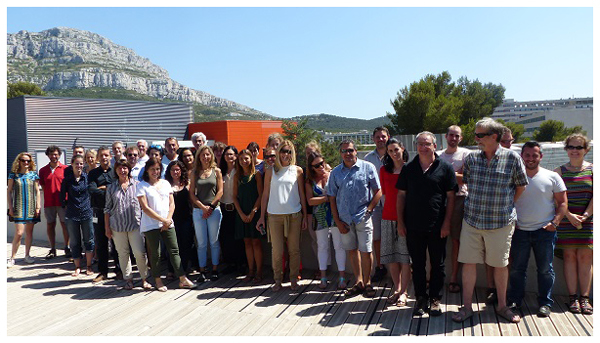 The GEOVIDE cruise (May–June 2014, R/V Pourquoi Pas?) aimed to provide a better understanding of trace metal biogeochemical cycles in the North Atlantic. As particles play a key role in the global biogeochemical cycle of trace elements in the ocean, we discuss the distribution of particulate iron (PFe). Lithogenic sources appear to dominate the PFe cycle through margin and benthic inputs. Sphagnum moss habitats store large amounts of carbon, which helps reduce thermal insulative capacity and the preservation of permafrost in Subarctic and Arctic. However, airborne infected crustose lichen (Ochrolecia frigida) causes the withering to death of sphagnum in permafrost regions. Soil CO2 efflux in crustose lichen was higher than in healthy sphagnum. This demonstrates that higher soil temperature and lower moisture in crustose lichen patches are attributed to enhanced soil CO2 emission. 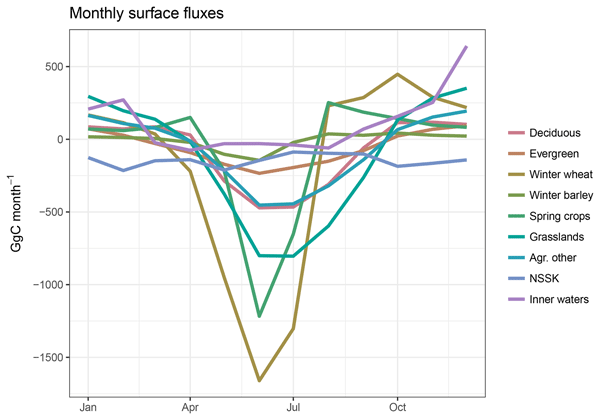 We used surface water dissolved aluminium concentrations collected in four different GEOTRACES cruises to determine atmospheric deposition fluxes to the ocean. We calculate atmospheric deposition fluxes for largely under-sampled regions of the Atlantic Ocean and thus provide new constraints for models of atmospheric deposition. The use of the MADCOW model is of major importance as dissolved aluminium is analysed within the GEOTRACES project at high spatial resolution. We quantified the contribution of individual components governing the net ecosystem exchange of CO2 and how these fluxes respond to environmental changes in a drained and water-saturated site in the polygonal tundra of northeast Siberia. This work finds both sites as a sink for atmospheric CO2 during the growing season, but sink strengths varied between the sites. Furthermore, it was shown that soil hydrological conditions were one of the key drivers for differing CO2 fluxes between the sites. 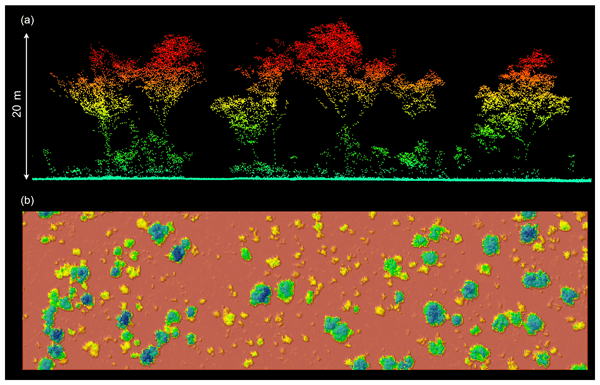 We used airborne lidar to map the three-dimensional structure and model the biomass of plant canopies across a long-term fire experiment in the Northern Territory of Australia. Our results show that late season fires occurring every 2 years reduce the amount of carbon stored above-ground by 50 % relative to unburnt control plots. We also show how increased fire intensity removes the shrub layer from savannas and discuss the implications for biodiversity conservation. Although coastal regions only amount to 7 % of the global oceans, their contribution to the global oceanic surface exchange of CO2 is much greater. In this study, we gain detailed insight into how these coastal marine fluxes compare to CO2 exchange from coastal land regions. Annually, the coastal marine exchanges are smaller than the total uptake of CO2 from the land surfaces within the study area but comparable in size to terrestrial fluxes from individual land cover classes of the region. The paper presents a novel study based on the traits of shell size, calcification and feeding behaviour of two planktonic foraminifera life stages using modelling simulations. With the model, we tested the cost and benefit of calcification and explored how the interactions of planktonic foraminifera among other plankton groups influence their biomass under different environmental conditions. Our results provide new insights into environmental controls in planktonic foraminifera ecology. 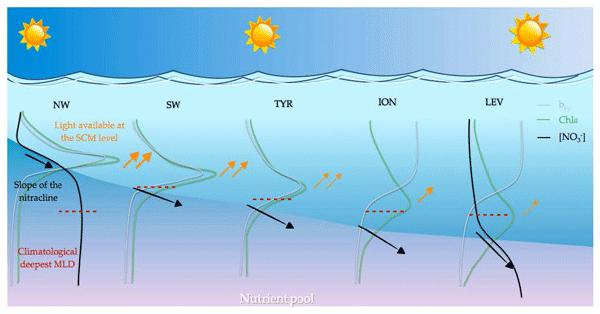 Recent studies suggest spatial variations of the marine particle flux length scale. Using a global biogeochemical ocean model, we investigate if changes in particle size and size-dependent sinking can explain this variation. We address uncertainties by varying aggregate properties and circulation. Both aspects have an impact on the representation of nutrients, oxygen and oxygen minimum zones. The formation and sinking of large aggregates in productive areas lead to deeper flux penetration. The effects of seabird presence on permafrost peat evolution in NW Greenland were studied by tracing changes in stable C and N isotope composition along the path from bird sources into permafrost peat. The permafrost growth was triggered by organic matter and nutrient input since the neoglacial cooling and concurrent polynya establishment. The study deals with the complex response of biologic and permafrost dynamics to high-Arctic climatic and oceanographic conditions of the late Holocene. Our understanding of terrestrial organic matter (TOM) in tropical peat-draining rivers remains limited, especially in Southeast Asia. We explored the characteristics of TOM by bulk parameters and lignin phenols of sediment in Malaysia. They elucidated that the most important plant source of the organic matter in these rivers is woody angiosperm C3 plants with limited diagenetic alteration. Such slower degradation of TOM may link to higher total nitrogen contents, especially for the small rivers. Commonly used nitrogen fertilisers, ammonium nitrate, urea and urea coated with a urease inhibitor, were applied to experimental plots. Fertilisation with ammonium nitrate supported largest yields, but also resulted in the largest nitrous oxide emissions. Urea was the largest emitter of ammonia. The coated urea did not significantly increase yields; however, ammonia emissions were substantially smaller than urea. The coated urea was the best environmentaly, but is economicaly unattractive. Chlorophyll distribution in the ocean remains to be explored in detail, despite its climatic significance. 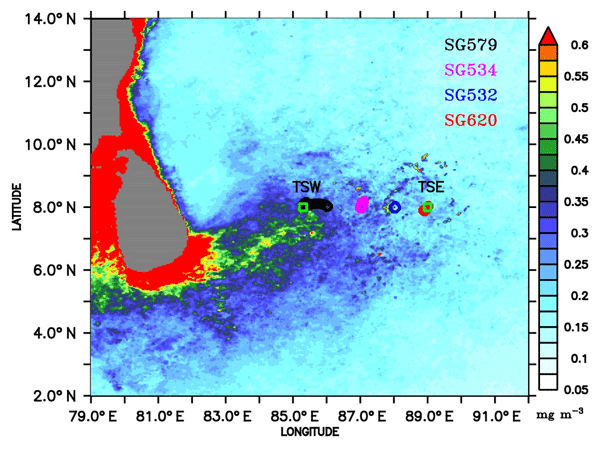 Here, we document the vertical structure of chlorophyll in the Bay of Bengal using observations and a model. The shape of chlorophyll profiles, characterized by prominent deep chlorophyll maxima, varies in dynamically different regions, controlled by the monsoonal forcings. The present study provides new insights into the vertical distribution of chlorophyll, rarely observed by satellites. Mineral binding is a major mechanism for soil carbon (C) stabilization. However, soil minerals can also inhibit the growth of bacteria that protect organic C from decay. 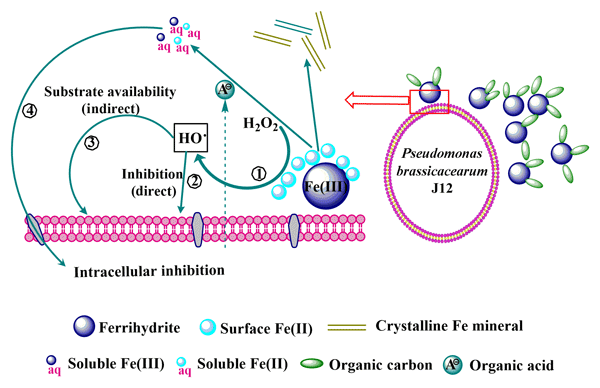 Here the findings indicate that reduced surface Fe(II) derived from Fe(III)-containing minerals inhibits the growth of bacteria via a free-radical mechanism, which may serve as an ubiquitous mechanism between iron minerals and all of the heterotrophic bacteria in view of bacteria as a vast source of superoxide. 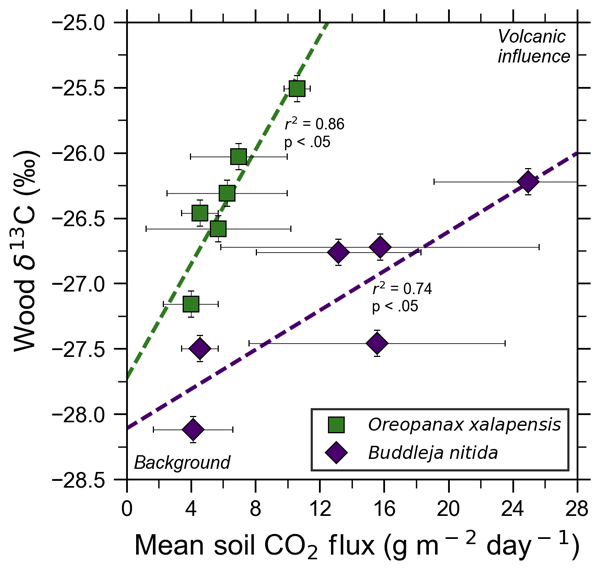 The coarse dead wood (CDW) component of tropical forest carbon pool is rarely measured. We created models for predicting CDW in Amazonian rainforests by using active remote sensing data. Our models produced site-based estimates of CDW that were similar to independent field estimates found in the literature. Our study provides, for the first time, the opportunity for creating maps of coarse dead wood at large scales in the Amazonian intact and degraded forests. Soils store large amounts of carbon in soil organic matter, which comes from plant debris and roots. The mechanisms protecting it from biodegradation are not fully understood. Here, we carry out a size-fractionation of soil sampled on different dates in a field experiment. 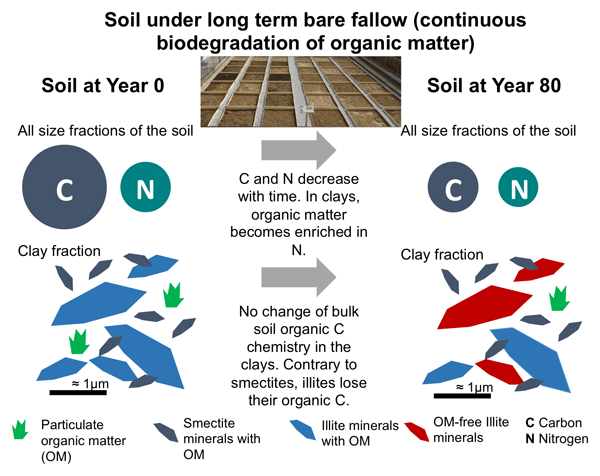 Using carbon and nitrogen content and spectroscopy and microscopy we conclude that organic matter enriched in nitrogen is preferentially protected from biodegradation and that clay minerals have differing protective abilities. To improve our understanding of the effects of tree species selection and management intensity on dissolved organic matter (DOM), we studied solution samples along the water flow path through forests with spectroscopic methods and biodegradation tests. There are distinct changes in DOM composition and biodegradability following the water path. Aboveground DOM was influenced by tree species selection but not by management intensity. Differences became aligned in mineral soil. 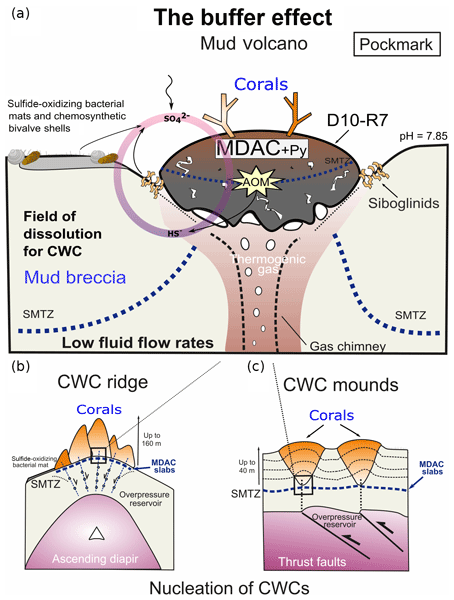 In this study, we investigate the evolution of CO2 uptake and ocean acidification in the North Atlantic Subpolar surface water. Our results show an important reduction in the capacity of the ocean to absorb CO2 from the atmosphere (1993–2007), due to a rapid increase in the fCO2 and associated with a rapid decrease in pH. On the contrary, data obtained during the last decade (2008–2017) show a stagnation of fCO2 (increasing the ocean sink for CO2) and pH. Understanding the dynamics of primary productivity requires mechanistic insight into the coupling of light absorption, electron transport and carbon fixation in response to environmental variability. 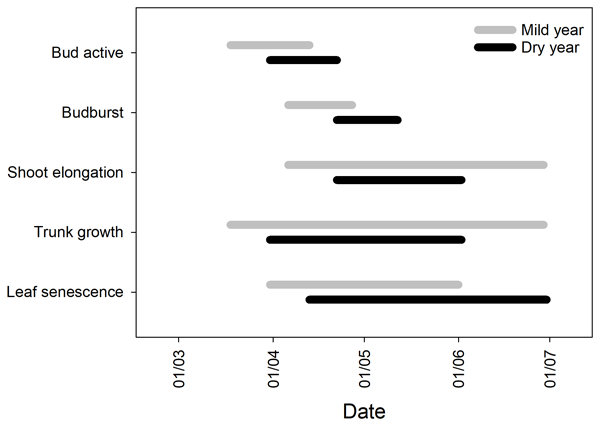 Measuring such rates over diurnal timescales in contrasting regions allowed us to gain information on the regulation of photosynthetic efficiencies, with implications for the interpretation of bio-optical data, and the parameterization of models needed to monitor productivity over large scales. This manuscript provides a preliminary data set for nutrient cycling in the Dark Zone of the Greenland Ice Sheet. The darkening has since been attributed to ice algal blooms, yet has not been accounted for in current melt rate models. We conclude that these blooms are the main drivers of nutrient cycling in these environments and C : N : P ratios suggest phosphorus limitation. These surface ice environments have the potential to supply large amounts of nutrients to downstream environments. We estimate the uncertainties associated with three global satellite-derived burned area estimates. The method provides unique uncertainties for the three estimates at the global scale for 2001–2013. We find uncertainties of 4–5.5 % in global burned area and uncertainties of 8–10 % in the frequently burning regions of Africa and Australia. Plants emit small amounts of methane and large amounts of volatile organic compounds (VOC). Measurements of plant methane emissions therefore require analysers that can provide accurate measurements of CH4 concentrations in the presence of changing amounts of VOCs. We therefore quantified to which degree various VOCs bias methane concentration measurements on different analysers. 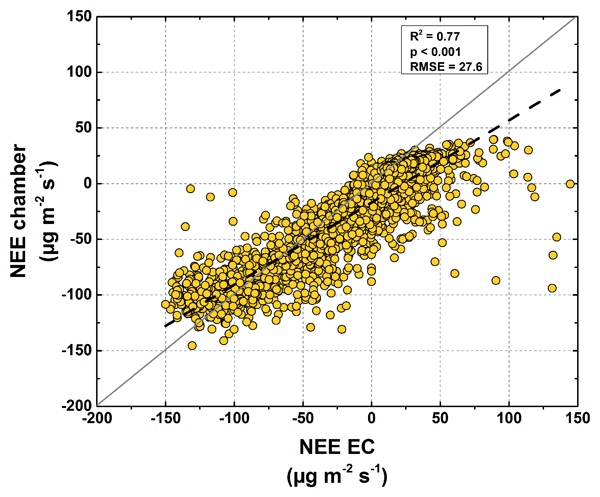 Our results show that some analysers are more sensitive to the presence of VOCs than others. The availability of macronutrients N and Si is of key importance to sustain life in the Southern Ocean. N and Si are available in abundance at the Southern Boundary of the Southern Ocean due to constant supply from the deep ocean. 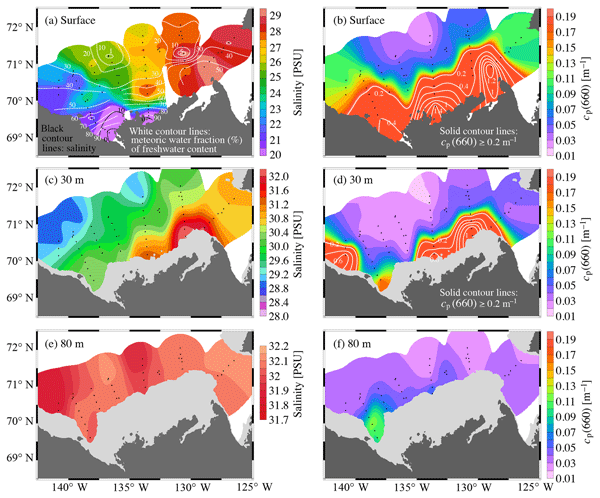 In the more northern regions of the Southern Ocean, a decline in macronutrient concentration is noticed; especially strong for Si, rather than N. This paper uses a simplified biogeochemical model to investigate processes responsible for this decline in concentration. This study examined rainforest responses to elevated CO2 coming from volcanoes in Costa Rica. Comparing tree species, we found that leaf function responded when exposed to increasing CO2 levels. The chemical signature of volcanic CO2 is different than background CO2. Trees exposed to volcanic CO2 also had chemical signatures which showed the influence of volcanic CO2: trees not only breathe in and are made of volcanic CO2 but also retain that exposure history for decades. 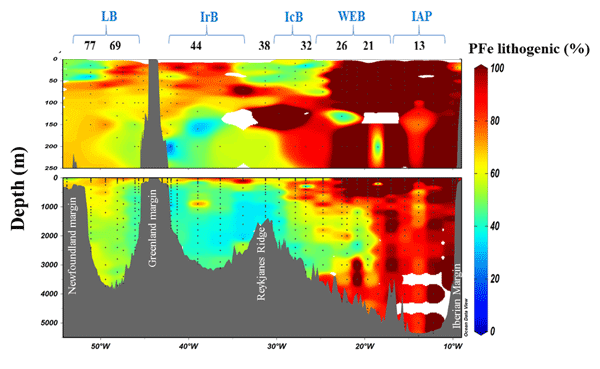 As commonly observed in oligotrophic stratified waters, a subsurface (or deep) chlorophyll maximum (SCM) frequently characterizes the vertical distribution of phytoplankton chlorophyll in the Mediterranean Sea. SCMs often result from photoacclimation of the phytoplankton organisms. However they can also result from an actual increase in phytoplankton carbon biomass. Our results also suggest that a variety of intermediate types of SCMs are encountered between these two endmember situations. We investigated abundance, activity, and diversity of soil AOA and AOB in five Antarctic tundra patches, including penguin colony, seal colony, tundra marsh, and so on. We have found (1) Sea animal colonization increased AOB population size, but inhibited AOA abundances. (2) AOB contributed to ammonia oxidation rates more than AOA in sea animal colonies. (3) The community structures of AOB and AOA were closely related to soil biogeochemical processes associated with animal activities. We determined the potential methane oxidation rate of the wetland soils in northeastern Siberia in situ or immediately after sampling to avoid the possible influence of sample storage. The soils had a high methane oxidation potential even under anoxic and frozen conditions, while the plant-associated methane oxidation is negligible. The results show the high tolerance and resilience of methane oxidation to the unfavorable conditions, contributing to understanding the methane cycle in the Arctic. Emiliania huxleyi species forms in the world's oceans generally huge blooms that affect both the content in the atmosphere of CO2, the major greenhouse gas, and marine ecology. The natural factors conditioning the dynamics of such blooms are many. To unravel the complexity of their conjoint action, and comprehend these blooms spatio-temporal variations, and open the way to predict their further development, sophisticated statistical techniques were employed to confidently rank the factors. 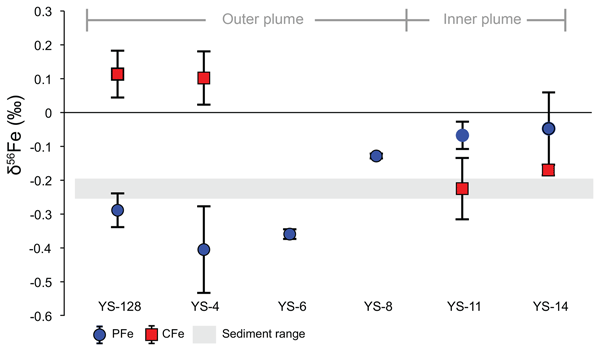 Iron analysis of the particulate, colloidal, and truly dissolved fractions along the Lena River freshwater plume showed that the particulate iron dominates close to the coast. Over 99 % particulate and about 90 % colloidal iron were lost, while the truly dissolved phase was almost constant. Iron isotopes suggest that the shelf acts as a sink for particles and colloids with negative iron isotope values, while colloids with positive iron isotope values travel further out into the Arctic Ocean. The biological carbon pump, the process by which carbon-laden particles sink out of the surface ocean, is dynamic and fast. The use of autonomous observations will better inform carbon export simulations. The Carbon Flux Explorer (CFE) was developed to optically measure hourly variations of particle flux. We calibrate the optical measurements of the CFE against C and N flux using samples collected during a coastal California cruise in June 2017. Our results yield well-correlated calibrations. By comparing the cork oak tree vegetative phenology in two contrasting precipitation years in a Mediterranean ecosystem, we showed the critical role of water availability in extending the length of the growing season and determining tree growth. 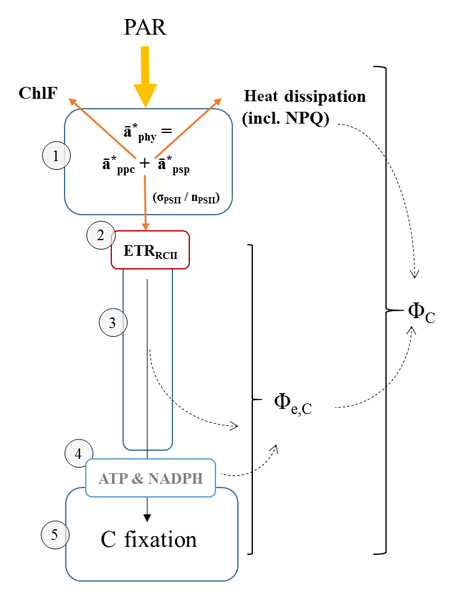 The observed higher transfer of nitrogen from senescent to green leaves in response to drought might compensate for the limited nitrogen uptake by the roots. Our results improve our understanding of the ecosystem's responses to climate change. We review and synthesize available information on coastal ocean carbon fluxes around North America (NA). There is overwhelming evidence, compiled and discussed here, that the NA coastal margins act as a sink. 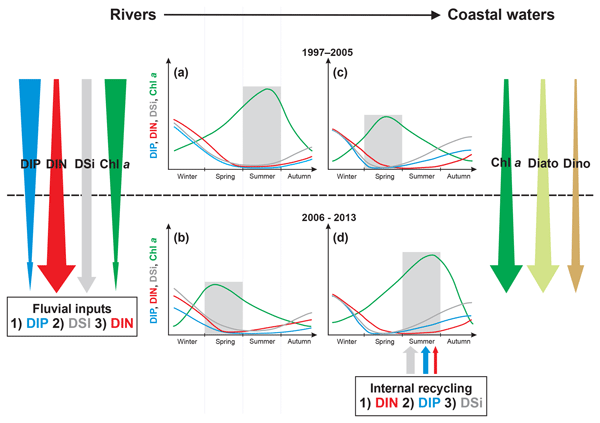 Our synthesis shows the great diversity in processes driving carbon fluxes in different coastal regions, highlights remaining gaps in observations and models, and discusses current and anticipated future trends with respect to carbon fluxes and acidification. This calibration study contributes to the examination of the triple oxygen isotope composition (17O-excess) of phytoliths as a new proxy for past changes in atmospheric relative humidity. Climate chamber experiments show that the 17O-excess of grass phytoliths should not be impacted by the diversity in grass anatomy and should be controlled by relative humidity prevailing during daytime when evaporation is highest and at the end of the of the growing season when most of silica polymerizes. 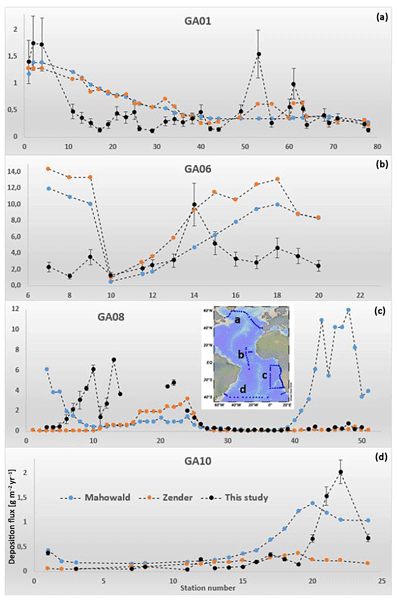 From a two-year atmospheric record of atmospheric oxygen and the greenhouse gases N2O, CO2, and CH4, made at a coastal site in the Namib Desert, we estimated the fluxes of these gases from upwelling events in the northern Benguela current region. We compared these results with flux measurements made on a research vessel in the study area at the same time, and found that the two approaches agreed well. The study region was a source of N2O, CO2, and CH4 to the atmosphere during upwelling events. Ecophysiological studies on Antarctic cryptophytes to assess whether climatic changes such as ocean acidification and enhanced stratification affect their growth in Antarctic coastal waters in the future are lacking so far. Our results reveal beneficial effects of ocean acidification in conjunction with enhanced irradiance on growth and photosynthesis of the Antarctic cyrptophyte Geminigera cryophila. 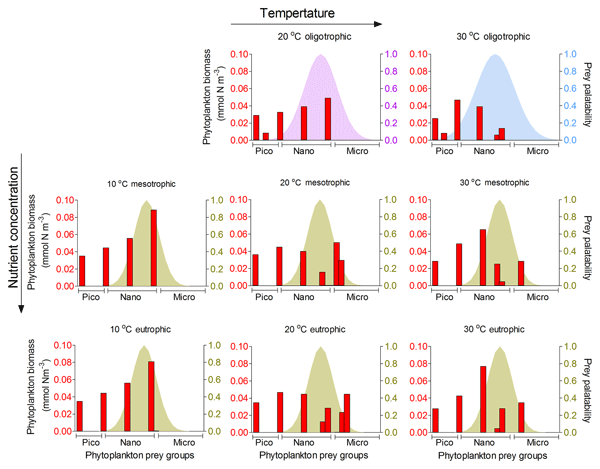 Hence, cryptophytes such as G. cryophila may be potential winners of these climatic changes. Predicting how soils respond to varying environmental conditions or land-use change is essential if we aim to promote sustainable management practices and help mitigate climate change. 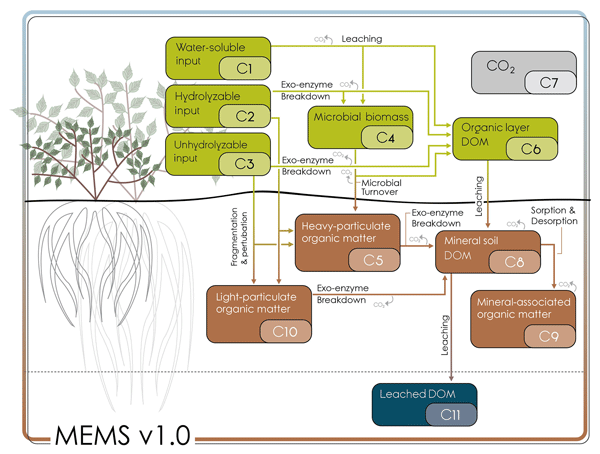 Here, we present a new ecosystem-scale soil model (MEMS v1) that is built upon recent, novel findings and can be run using very few inputs. The model accurately predicted soil carbon stocks for more than 8000 sites across Europe, ranging from cold, wet forests in sandy soils to hot, dry grasslands in clays. The biological production and air-sea CO2 exchange in the surface water in the northern Gulf of Mexico during springtime was mainly controlled by the changes in the availability of light and nutrients during the river-ocean mixing process. The slow air-sea CO2 exchange rate and buffering effect of the CO2 system may result in decoupling between biological production and CO2 flux.